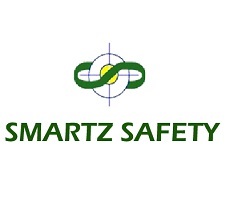 Lowongan Kerja Smartz Safety a Professional trainings and offering many environmentally friendly products in the field of agriculture such as organic fertilizer, decomposer, botanical pesticide, and some essential oils used as active ingredient of pesticide. Manage, check and report on all financial transactions that processed by Site Project, including recapitulation of RAB, invoicing, weekly petty cash, control and do payment process. • Candidate must possess at least a Diploma Degree in Accounting from reputable university with GPA minimum 3.00 (scale of 4). • Location Based in Bogor. Monitoring K3LH System to make sure that company operational in line with Health, Safety, & Environment standards. • Candidate must possess at least a Diploma/ Bachelor Engineering (Environmental/Health/Safety) or equivalent. • Willing to be placed at our Site Project : Papua, Central Kalimantan, Cilegon, and South Sumatera. Monitoring construction / building maintenance system ( Power, Mechanical , Electrical systems ) to make sure that company operational business process in line with company target. • Willing to be placed at our Site Project: Jabodetabek , Cilegon, and South Kalimantan.